When we opened CRAVE, we had a vision that the bakery would create delicious, fresh, baked goods in a pristine, yet cozy environment – with service by a helpful, dedicated – customer-friendly staff. We also wanted to provide people in the community a great place to work, where they loved the product and their dedication to our mission was apparent to every customer they served. The community response has been overwhelming and we are grateful. To show our gratitude we endeavor to give back to the community. Thank you for considering CRAVE for your donation request . We strive to be active in as many areas of the community as we can. We have focused the past few years on may charities including MD Anderson Children’s Cancer Center Arts in Medicine Program. To this day through fund raising efforts as well as in store promotions we have donated over $60,000 to their cause. Read more here. We are also interested in hearing about how we can become involved with your charity. You submit a community request at least 6-8 weeks before your event date. Our Donations Manager reviews the community request. Because of the large amount of requests that we receive we have to, unfortunately, limit the number of donations that we make. If your group has been chosen to receive a donation, we will notify you via email in a timely manner. In this section, please provide the details of the purpose of the event. Examples include raising money for a specific organization, to spread awareness of a specific organization or to promote a program within the organization. This can also include information about the event such as who the donations raised will benefit or the financial goal of the event. The more information you provide, the better Raising Cane's can help you reach your goal. Help us get to know you better - briefly describe your organization. 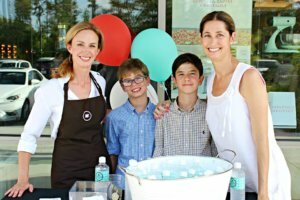 Is your Organization a 501(c)(3) charity? Any event, sponsorship or support requested for an education institution such as a school or university. Examples include project prom, field day, teacher appreciation, school athletics program ads and high school field signage. Any event, sponsorship or support requested for an athletic organization (not school) or other active lifestyle programs. Examples include 5Ks or fun runs, golf tournaments, community sports organizations field signs and sports team sponsorships (not school). Any event, sponsorship or support requested for a food bank or food collection organization. Examples include: food drives, fundraisers and soup kitchens. Any event, sponsorship, or support requested for a pet welfare organization such as a pet adoption center or animal shelter. Examples include pet adoption days, dog parks and fundraisers. Any event, sponsorship or support requested for the Chamber of Commerce or other professional career advancement or entrepreneurship programs. Examples include Chamber membership dues, SCORE and Future Business Leaders of America. We’d like to know more about how we can best help you. If you have a sponsorship document already prepared, you can upload that document here so we can see what level of sponsorships are available. How will Crave Cupcakes support be recognized? What is the latest date we can respond and have our logo included in printed materials? 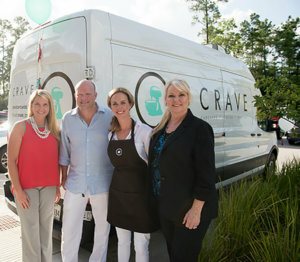 Has Crave Cupcakes previously participated in this event? Would you like to receive promotional emails from Crave Cupcakes?